What challenges do first-time developers face when creating a completely new and unique game world? It’s tempting to push game developers for new ideas, to force them to search for the next big thing, rather than iterate on the same old punching, shooting, and levelling systems we’ve seen for decades. But studios are often wary of just that: too many new ideas. In the volatile and unpredictable world of development, it can be tricky enough just to ensure that the one or two central new ideas in a game come together in time for launch. It’s sensible – best practice, even – to build on the foundations left behind by other developers, knowing that with tried and tested mechanics on board, there are at least a few certainties. That’s not how the first-time developers behind Sayri are doing it. 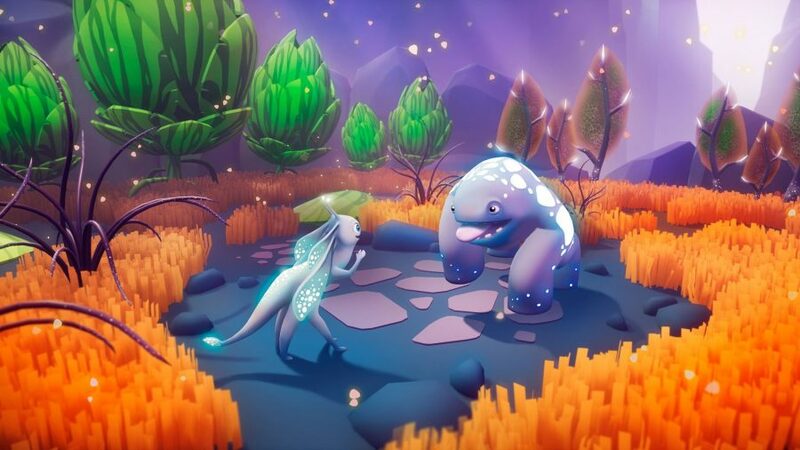 Nominally influenced by Pikmin, their game builds on a strange setting, and stars an alien protagonist with frankly too many legs. It’s been a continuous challenge in the fields of design, art, maths, and animation, but it appears to be paying off for this Ukrainian team working in Unreal Engine 4. 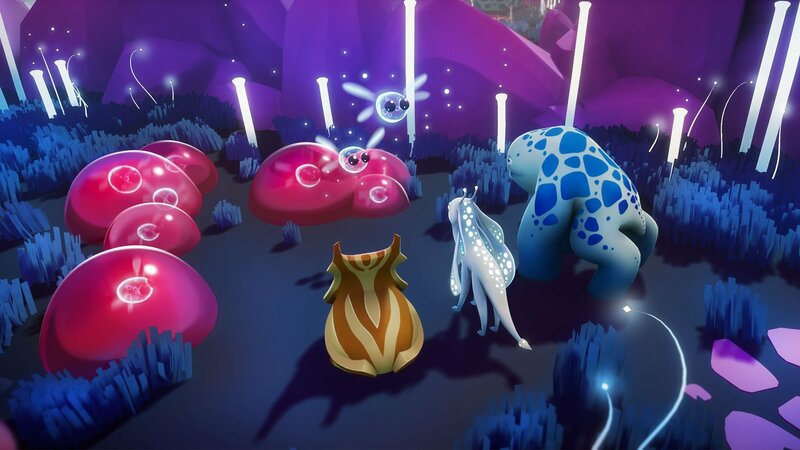 “The idea was to make a game like Pikmin,” producer and financier Artem Savotin tells us. That would usually be goal enough for a first project. 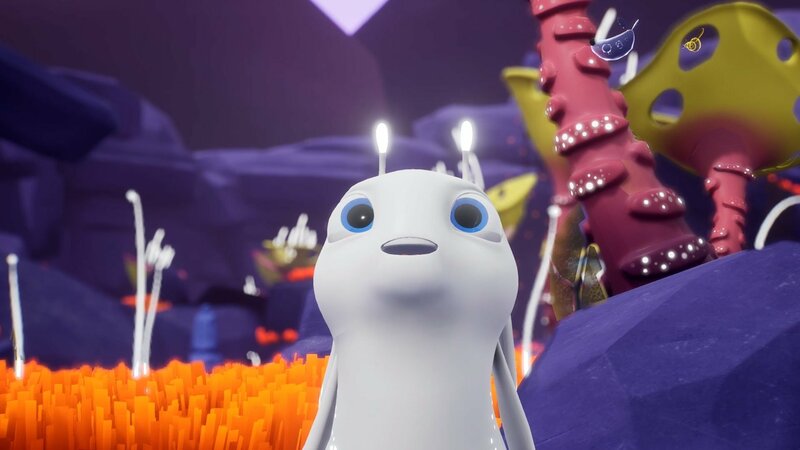 Especially when you consider Nintendo famously had difficulty finding a clear direction for Pikmin, and even by its second sequel was still finding the balance for accessibility and depth in its strange, colourful RTS. But Savotin actually started with two ideas. “My other initial idea was that everything should be unique,” Savotin says. “I thought that we should be very different, because we’re new people in game development and we want to be recognised. From the moment he was first conceptualised by the team’s artist, Sayri had big, beautiful eyes you could happily fall into – a creature with a head so adorable you could spend the day rolling around inside it. 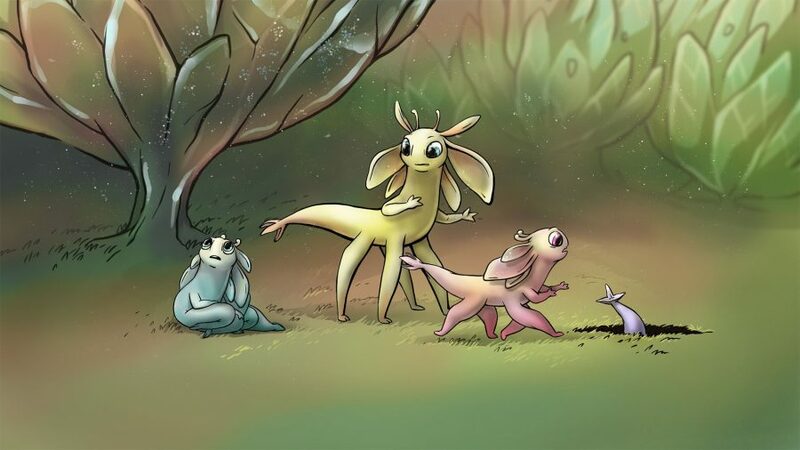 He also had four legs, two arms, six ears, and two apparent antennae, although the team insists they’re horns. The team is confident it can pull together its ideas – untested by others in the industry – into a vertical slice. This will be a sample level which demonstrates every part of the game at the production quality of a finished product. But that in itself won’t be enough. Yet Sayri’s unique qualities are exactly what has allowed it to stand out in public. The team showcased the game just a couple of months into full development, winning a competition at a consumer conference in Ukraine, the prize being tickets for Casual Connect in Seattle. Sayri is coming to PC in 2019. Unreal Engine 4 development is now free. In this sponsored series, we’re looking at how game developers are taking advantage of Unreal Engine 4 to create a new generation of PC games. With thanks to Epic Games and Artem Savotin.